With ever-changing compliance regulations regarding data storage and management, Wiring Solutions, through our security and safety division, has entered into the realm of data security and elimination. Our Data Eliminator and Hard Drive Degausser is a production level unit meant to completely wipe and render inoperable all types of magnetic media. Our Degausser is a continuous duty drawer-style degausser that erases all hard drive and tape formats that fit in the 6.75” x 4.5” x 1.5” degaussing chamber – including PC hard drives, LTO, SuperDLT, and DLT. The HD-2 has the power to erase 5000+ Oe HD media. It has been independently tested and certified to meet both ANSI and CE standards. 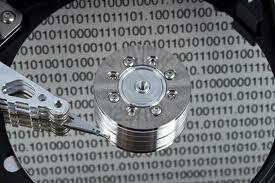 We offer data destruction at our facility or yours. As our unit is completely deployable and offers an erasure cycle time of just 60 seconds, it makes an ideal unit to rent and take your data destruction in-house for the greatest of security where chain-of-custody and personal accountability must be internal. With a fully refundable deposit of only $2,500 our machine can be rented for periods ranging from weeks to months. Our rental rates are straight-forward and there are no hidden fees. A weekly rental price of only $550 makes data destruction on small to mid-sized projects easily affordable and a monthly rental of only $875 makes complete financial sense for larger and production level data destruction and deletion. Custom rates are available for periods of need unique to your organization. If you wish to ship or deliver your media for certified destruction we are always happy to work with you on custom orders. Whether you are an individual disposing of a personal computer or a health group rotating your computer fleet of 1000 computers, we are able to ensure your data stays out of the wrong hands… permanently.